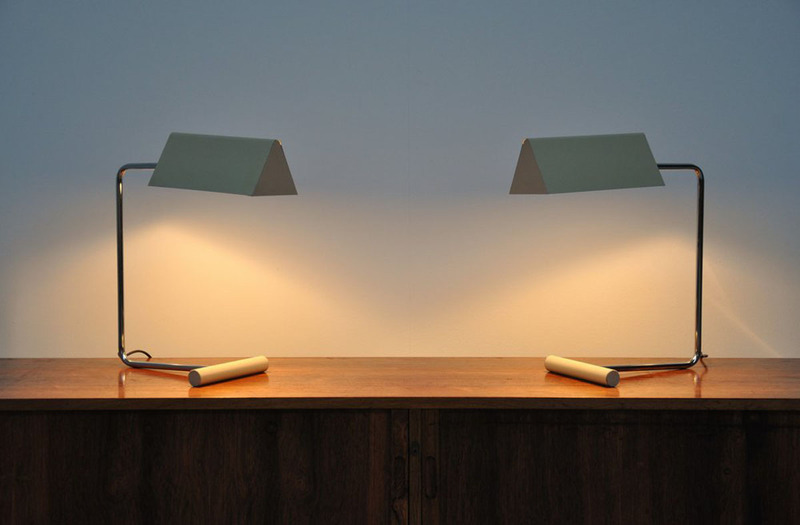 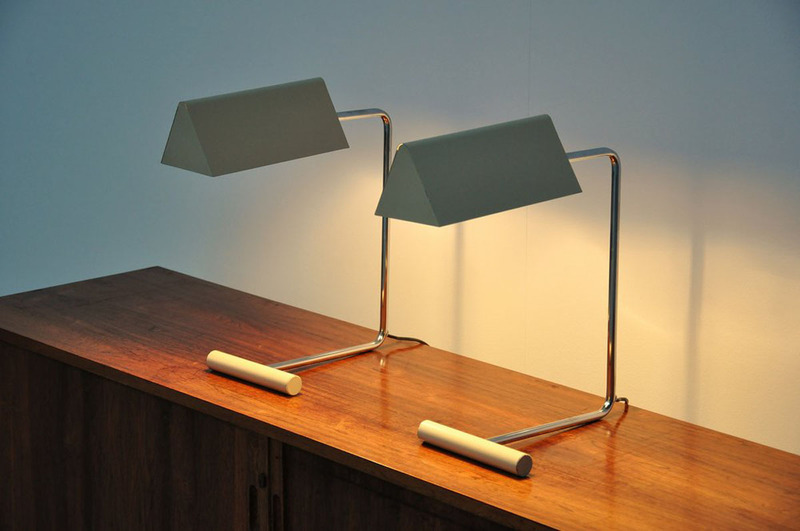 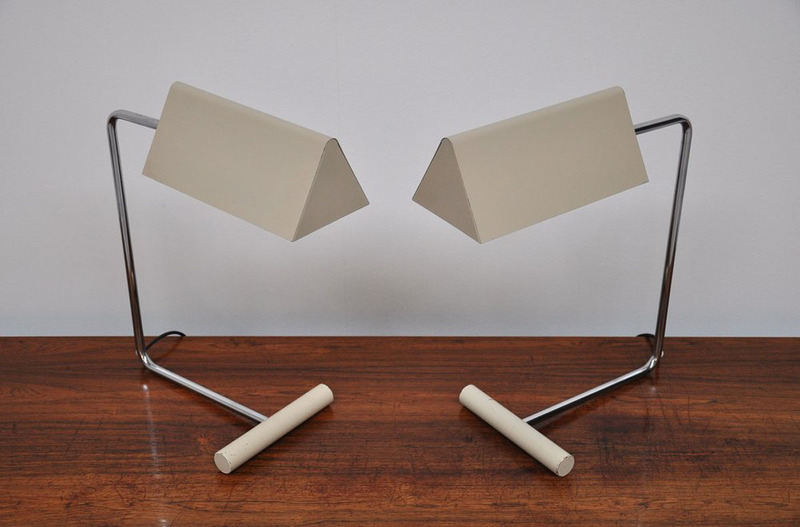 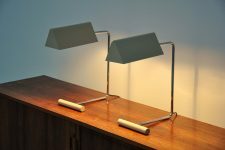 Very nice and rare pair of table lamps designed by JJM Hoogervorst for Anvia Almelo 1960. 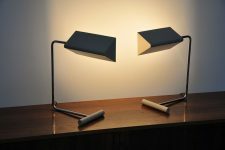 These lamps are made of a chrome bar and beige weighted cylindrical foot. 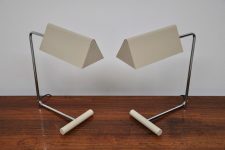 The beige lacquered shade is rotatable and both lamps are in a super good condition. 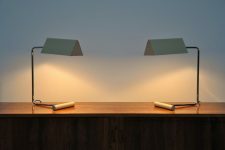 Give nice light when lit.